There's something about museums. 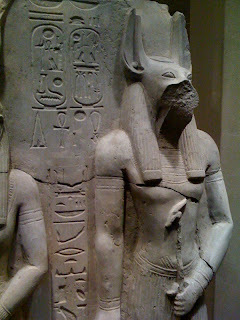 I found myself deep within the Egyptian wing of the Metropolitan Museum of Art last weekend, just wandering around in a complete mental stupor. Trying to imagine the hands that made the relics before me, the process by which it could have been made, the meaning behind these ancient objects. In that moment you are drawn in and everything that previously had seemingly such meaning and importance disappears. There is only yourself and the object under observation, and upon even closer inspection, these two things become one. i know this feeling all to well.. I love museums, but do not take the opportunity to visit them often enough. Museums are on my list of activities that I am always finding reasons NOT to do. But when I finally force myself, I have a blast.